Declan Thompson: “swimming was boring”! If you’re in a biochemistry lecture and the person sitting next to you has the scent of chlorine, then take a close look – you could be sitting next to MMU sport scholar and water polo ace Declan Thompson. The first-year Medicinal and Biological Chemistry student from Pontefract started his athletic journey as a competitive swimmer, but moved towards water polo at the age of nine, because he found swimming boring! Declan plays centre-back for the MMU water polo team, which recently won their BUCS Northern 1A league title and will now take part in promotional play-offs for a place in the BUCS Premier league. 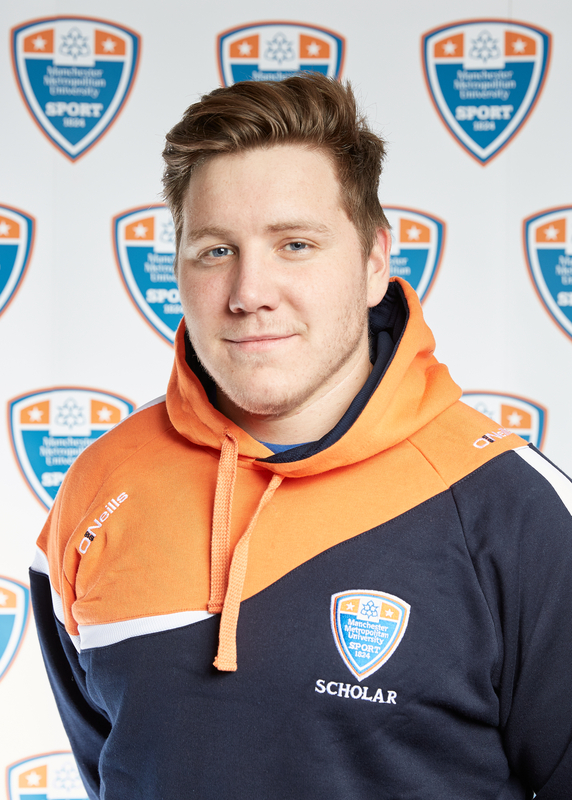 Declan says his team mates at his home water polo club in Castleford are responsible for shaping him into the player he has become, and now he’s using MMU’s sport scholarship to take him to the next level. At MMU, he’s able to focus on his passion and interest in science and biology without compromising training. The MMU water polo team is coached by former GB Head Coach and England player Jérôme Read, using the facilities at the Manchester Aquatics Centre, only 5 minutes walk away from campus. MMU Sport provide strength and conditioning coaching, physiotherapy, nutrition advice and more as part of Declan’s sport scholarship to help him develop peak performance when he’s not hitting the books. Declan’s prowess in water polo has taken him across the world – playing against Romania in the European championships is one of his career highlights, as is winning a Men’s invitational tournament in Malta. He’s also played as part of Spanish water polo teams, but his ultimate ambition is to play for England in the Commonwealth Games. The Commonwealth Games do not currently list water polo as a sport; it has only once been featured in the Games, in 1950! Declan hopes this will change, and when it does, he will be there to represent his country. If, like Declan, you’re a talented athlete that wants to be supported through your university studies, applications for our 2016/17 sport scholarship programme are now open. Find out more about MMU sport scholarships. Learn about MMU’s high performance sport commitment. Follow the MMU waterpolo team on twitter. Previous #BUCSWednesday: What a Wednesday!